Martino Fine Books, 9781614271352, 188pp. 2011 Reprint of 1938 Edition. Full facsimile of the original edition, not reproduced with Optical Recognition Software. Ueland published two books during her life. 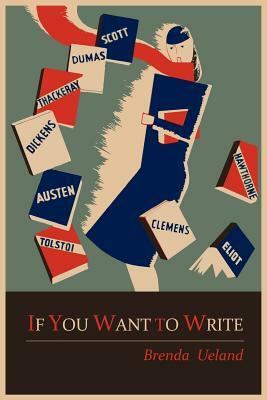 The first was "If You Want to Write," first published in 1938. In this book, she shares her philosophies on writing and life in general. She stresses the idea that "Everyone is talented, original, and has something important to say." Drawing heavily on the work and influence of William Blake, she suggests that writers should "Try to discover your true, honest, un-theoretical self." She sums up her book with 12 points to keep in mind while writing. Carl Sandburg called "If You Want to Write" the best book ever written on how to write.